While we wait for the Wolfenstein: Youngblood achievements list to appear, we can at least get hyped up via a new trailer and news on the game's pre-order pricing and contents. Youngblood is an upcoming entry to the rebooted series which puts players in the shoes of BJ's battle-hardened twin daughters. This time around the campaign can be enjoyed entirely in co-op. 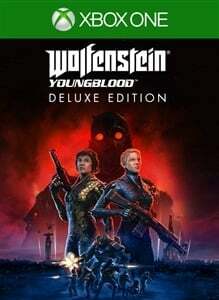 Youngblood is only going to retail at $29.99 / £24.99 or your local equivalent, while that co-op friendly Deluxe edition only costs $39.99 / £34.99. Effectively, the second player is getting to play the game for half the price, while the game as a whole isn't releasing at a full premium. This possibly suggests that we shouldn't expect as long a campaign from Youngblood as we're used to. You can check out your local prices for both editions in the panels below. Pre-order now to receive the Legacy Pack and unlock outfits and weapons used by BJ Blazkowicz, including: - New Colossus Jacket power suit skin - BJ's U.S. Army power suit skin - Old Blood Pipe - Old Blood Knife - WW2 Weapon Skin Set, for all ranged weapons Nineteen years after the events of Wolfenstein II, BJ Blazckowicz has disappeared after a mission into Nazi-occupied Paris. Now, after years of training from their battle-hardened father, BJ’s twin daughters, Jess and Soph Blazkowicz, are forced into action. Team up with a friend or play alone. Level up, explore, and complete missions to unlock new abilities, weapons, gadgets, cosmetics, and more to complement your playstyle and customize your appearance. Wolfenstein: Youngblood features the most open-ended Wolfenstein experience to date. From a new base of operations located deep in the heart of the Paris catacombs, plan how and when to attack and dismantle the Nazi regime. 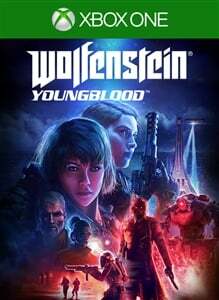 Wolfenstein: Youngblood arrives on July 26th. We don't have them yet, but we'll publish a story as soon as we pick up the Wolfenstein: Youngblood achievements.